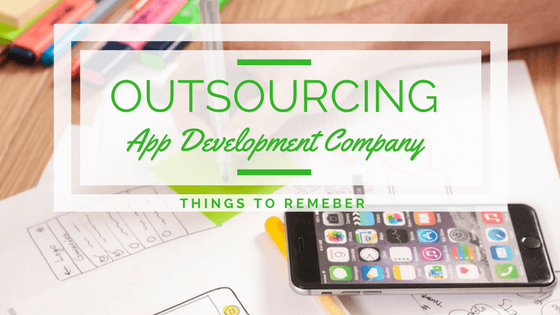 Home>Business Solutions>How to outsource an app development company? How do you choose a service vendor for your business? Do you select them on your own or you go with the crowd? Being one among the crowd is not at all a big task. Choosing the one you want and excelling in its services is the greatest achievement you could ever imagine. In order to help you out to find the best app development company, we would like to share a few things that you might consider while choosing an app development company. Mobile app development seems to be imperative to generate tremendous revenues and improve business growth. A recent analysis has stated that people spend around 50-55% of the time on mobile applications through smartphones. This analysis made the biggest businesses to move forward towards the mobile app development. Outsourcing the best team of developers for an Android or iOS apps is really a good solution that one could take towards the growth of his business. We will walk you through some of the important points that can help you in choosing the right app development company. Most of the time, people fail to explore the needs of their business. Which instantly results in measures that do not meet the needs of their business. So, it is recommended to explore your business needs before implementing it on a mobile app. As stated, note down all the requirements for your business. By doing this you will have a clear diagnosis of developing a mobile app for your business. Now frame a clear structure of the features that you wish to add to the mobile app. We have listed a few points that could be helpful in framing the clear structure of the mobile app and its features. How could the features benefit the business? Is social media integration necessary? Do you want an app development that is agile or waterfall? It is good to interact with multiple companies. By doing so you will be able to identify the best from the multiple choices. You will be able to check the proficiency of the company. This gives a better idea that helps you to conclude whether to take forward the conversation or not. Before you proceed with the conversation try to go through all the reviews of the app development company. This saves you time. Select the three best app development companies that top your list and can give you less or no costs risks. Ensure that the company holds its own brand and social media which guarantees on its best results. Make sure that the companies you choose have relevant experience in the similar domain/field. The companies that you have chosen should be able to research on your requirements to the core. You can claim or ask for a demo from the app development company, this helps you to know the tools they use, the innovation levels they reach and how flawless they could work. Confirm that you have a strong and active communication with the service provider. Also, make sure “are they updating you in time and proceeding the process with regular discussions”. Make sure that you confirm with all the above-mentioned statements before you choose an app development company. Based on the above parameters, fixed price doesn’t really help you in a better way. Rather stay in your budget. In case, if you are planning to increase your budget make sure that the end results are appealing. Quality is the key factor that one should be mindful of. You can never comprise your quality for a low budget. As quality and cost are dependent choose the right service at a right cost. Make sure that your communication path is clear enough for a quality outcome. Make sure that the app development companies are capable enough to work within the stipulated time. This might affect your development as technology changes every day and it might be something else when your outcome exceeds the drafted time. The next major factor that one should take care and that highly improves user interaction with your business is the UI/UX. When you have come up with a product that is highly user effective then we promise you, you are going to flood in a huge traffic. The agile approach is a disciplined process that motivates regular inspection and compliance. It is considered something which is apt than spontaneous improvement and flexible response and that is why it is assumed to be the best methodology to work on. Every outstanding app has an enthusiastic team working behind to make the app more effective and successful. But choosing one such team is in your hands. If you are looking out to develop a mobile app for your business then you should be able to choose the right one. Make sure that the company is good enough to meet your budget as well as your requirements. Remember the keynote, your app is the only source that is going to take your business to the heights. So, it necessary to be molded in the hands on the right potter. Never drop your money or your business to an inefficient company. Hope this information helps you a lot in finding the best app development company.